Antique sewing machine - Ward's Arm & Platform. Produced by Edward Ward, the Arm and Platform was manufactured in the UK during the 1870's/80's. 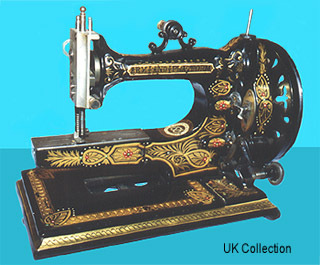 This versatile lockstitch machine is well sought-after by many of today's collectors. As the name suggests, the machine can be quickly transformed from free-arm to table type using its inbuilt moveable cast iron plinth.